The nuclear twinning of North Korea and Iran is a long established fact. Shortly after Iran’s ballistic missile test Saturday, Sept. 23, North Korea was suspected of conducting another nuclear test. A magnitude-3.4 zero-depth quake was detected in North Korea, at roughly the same site as the shallow quake on Sept. 3 that was caused by nuclear test. China’s seismic service, says the quake is likely caused by an explosion. The service later found that it was an earthquake after all. SEOUL – The godfathers of North Korea’s nuclear weapons program were an elderly trio: a nuclear physicist, a military general and a broker with contacts in Pakistan. An article from 2009 that hits the nail on the head in explaining the true relationship between China and North Korea. North Korea is a Chinese proxy which serves to keep America distracted from the main threat: China. 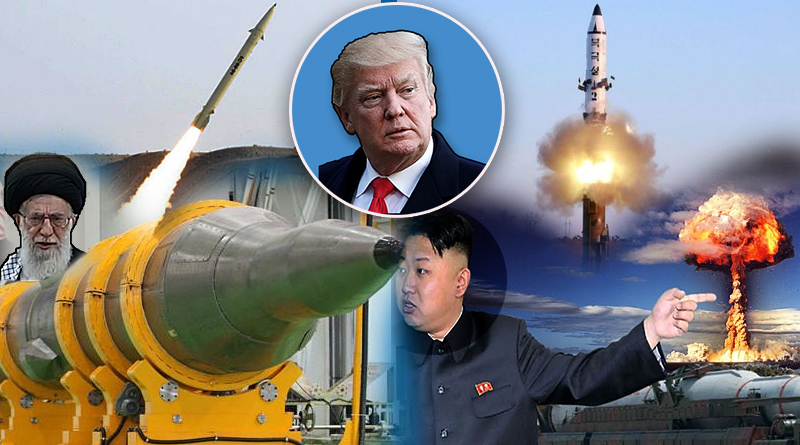 As time has passed by since this article was written, North Korea has also exponentially increased as a threat toward the United States as well. North Korea has nukes, and China isn’t worried. Something’s not right. 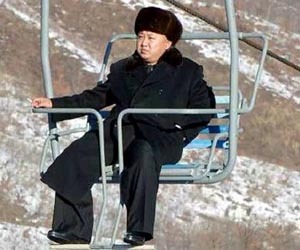 Understandably, America and its allies in Asia are alarmed by Kim Jong Il’s apocalyptic ambitions. Shortly after Pyongyang conducted its nuclear test on May 25, it turned South Korea into a nervous wreck by threatening a “strong military strike,” and saying that its 56-year cease-fire with Seoul no longer applies. Nearby Japan is so alarmed Tokyo is chattering about the need to develop its own nuclear arsenal. Concerns over North Korea’s nuclear belligerence reverberated throughout Asia. Hwang Pyong So must be feeling pretty good about himself right now. At the latest Supreme People’s Assembly meeting, he was made vice chairman of the National Defense Commission. This was after his promotion to director of the General Political Bureau of the Korean People’s Army, making him the top political officer in the military. In a country where there is supposed to be no No. 2 official, he is called the second-most powerful figure. Now he has crossed the border into South Korea on a one-day, short-notice trip, triggering hopes of reconciliation between the arch-rival republics—and heightening speculation about the fate of Kim Jong Un, North Korea’s young supremo, who has not been seen in public since September 3. Kim Jong Un, the North Korean leader who has mysteriously been missing from the public eye for almost a month, sparking rumours covering every possibility from a stroke to a coup d’etat, is merely recovering from ankle surgery, a South Korean newspaper claims. Kim had fractured both of his ankles and had surgery in Pyongyang in the middle of September to treat them, the Chosun Ilbo, South Korea’s largest newspaper, reported citing an unnamed source. Yonhap news agency said recent video footage showed the leader, who is in his early 30s, walking with a limp, and noted that he missed a public appearance at the country’s parliament in the week. NORTH Korea state-tv is reporting the country is ready to file a nuclear missile, Sky News reported. Pyongyang threatened to turn Seoul and Washington into “seas of fire” through a “precise nuclear strike” a day after one of its generals said on television that it could walk away from the 1953 armistice agreement that halted the Korean War. 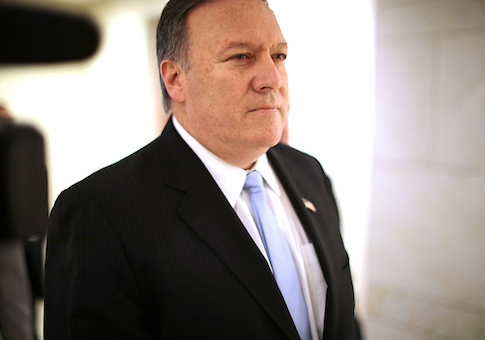 “Years of getting duped by North Korea should tell us that verification on their turf is extremely difficult, if not impossible,” said Rep. Edward R. Royce, chairman of the House Foreign Affairs subcommittee on terrorism, nonproliferation and trade. “That applies to food aid distribution, where the military has stolen food aid, or nuclear disarmament. Last year, I passed legislation prohibiting food aid to any country that may divert it for unauthorized use,” the California Republican added.